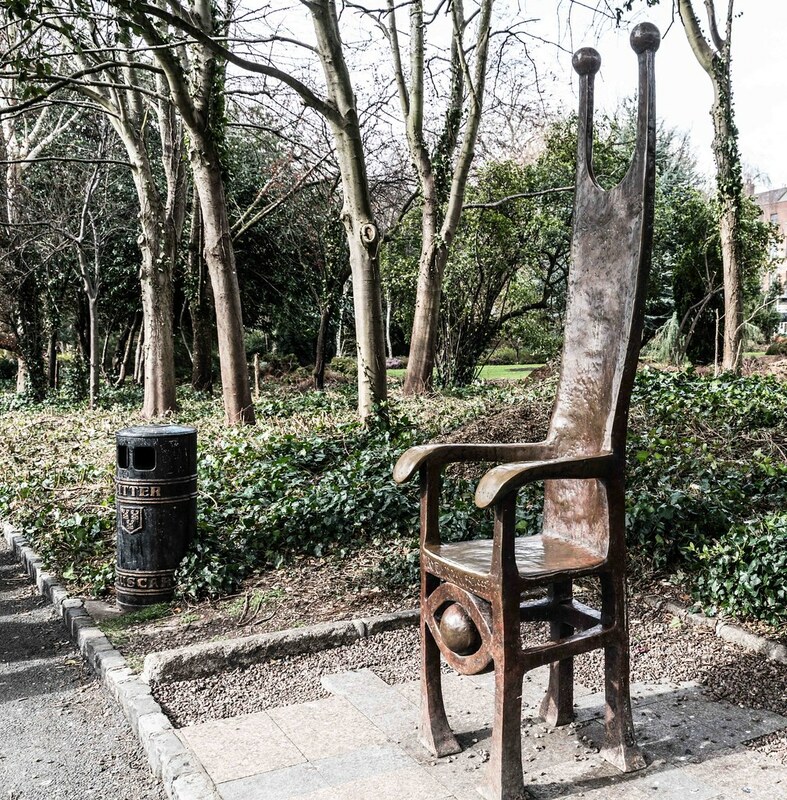 Joker’s Chair was erected in the memory of the writer, actor, satirist and comic Dermot Morgan (1952-1998), who achieved international renown for his role as Father Ted Crilly in the much loved and successful sitcom Father Ted. 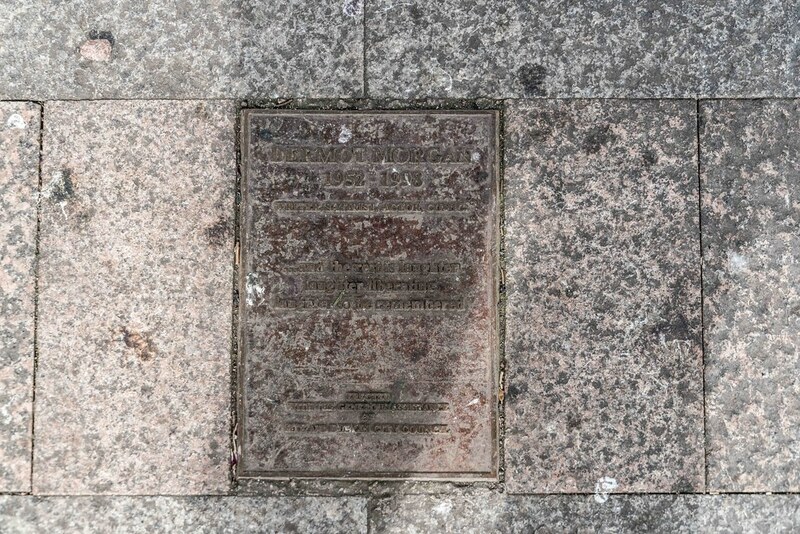 The inscription which accompanies this piece reads; ....and all the rest is laughter laughter liberating laughter to be remembered. The artist Catherine Greene was born in Galway and studied at the National College of Art and Design from 1979-85. Her sculpture has a comical spirituality that seems to prevail throughout her work. This nod to humour and the less obvious is particularly appropriate in this piece as it appears to fittingly capture Dermot Morgan’s comical spirit. 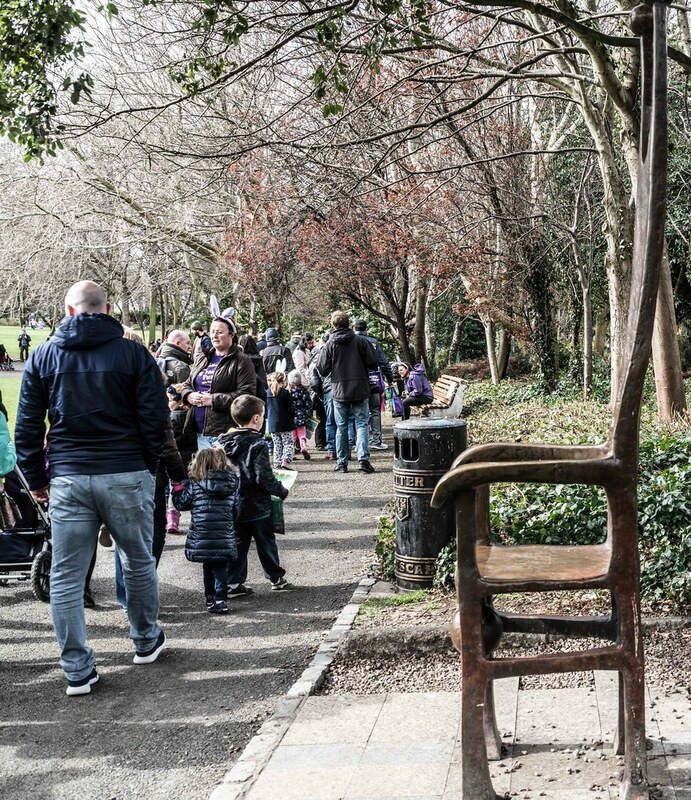 Greene was approached by Dermot Morgan’s partner to create the memorial which was funded by RTÉ and supported by Dublin City Council. A condition of the commission was that it should be an allegorical piece rather than a representative image. Greene saw Dermot as being like the modern day seer who never feared to tell the truth, cleverly, sear- ingly and with verve. This led her to the idea of the Shakespearean fool, who was always the closest to to the throne and who never feared to tell the truth. 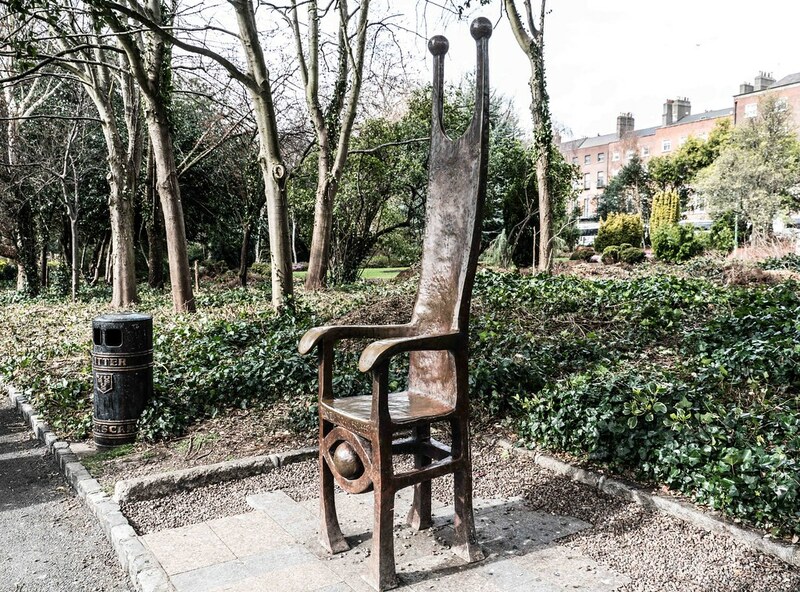 She felt it would be important for the public to engage with the artwork so she created a throne and if one looks just underneath the seat, you will see an eye, which for Greene represents the knowing eye. The balls on the top of the seat for her are like the hat of the jester. All these elements create a sense of fun and comedy about the piece. 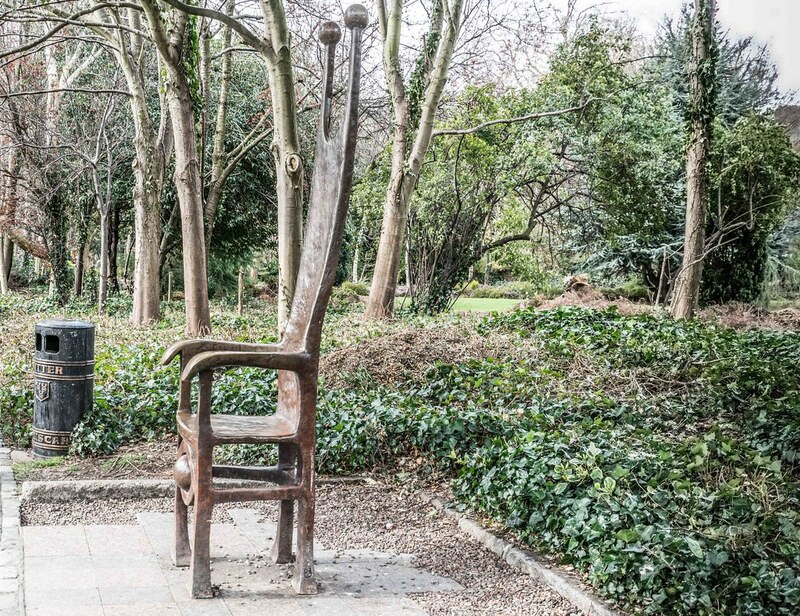 Joker’s Chair fits well within Greene’s work in that during the years preceding this commission she had been making small thrones as she was caught up with the idea of absence within her work.